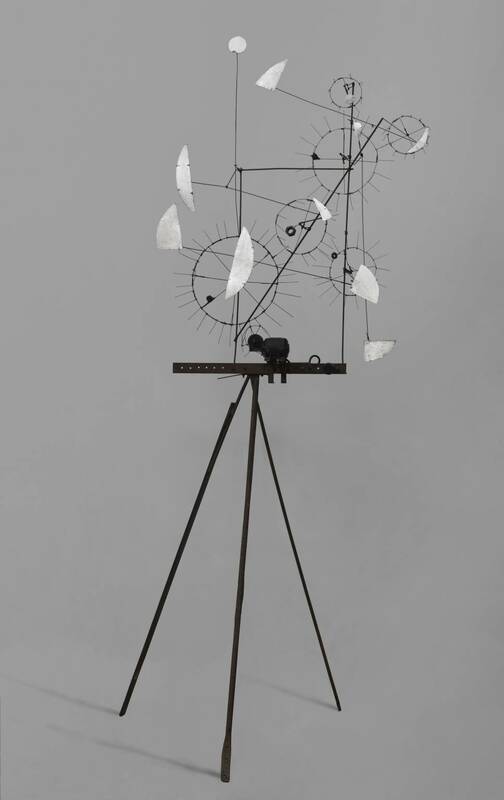 Born in Fribourg (1925) and passed away in Berne (1991), Jean Tinguely is a Swiss painter-scultpor usually associated with the kinetic art and the Nouveau Réalisme. After a short period of abstract painting, he turned towards the mechanical sculpture. From 1951, he assembles strange robotic machines working on the physical and perceptive movement.